FearTASTIC Vault O’ Fun #3! Home /Movies, Opinion, Uncategorized/FearTASTIC Vault O’ Fun #3! I like to use Geek like I would any other skill (strength, intelligence, pie-throwing, etc.). I genuinely feel that energy of being obsessive, excited and passionate all at the same time can bode well for many number of things besides the obvious channels. When the time is right and more importantly, advantageous, I unleash the geek within and something positive/progressive usually happens...well, there also might be some confused looks but I'm pretty sure laughter is achieved most of the time. Thanks for reading folks, Seek out, Speak out, Laugh out loud! Let’s try to remember a world before EVERY movie you can possibly muster in your mind streamed instantly, right to your television like a magic wizard of movies that was always at your beckon call or at worst, you’d have to wait 2-3 days. The reality is, some magic has disappeared from turning on the TV and catching the right kind of movies that fit the season and being a horror movie fan (surely, I jest! ), it was only fitting that Halloween season was my favorite. Sure, some like the free candy but I was never really into sweets more than I was into FREE sweets and dressing up was always fun (which resulted in a second wave of Halloween appreciation came after turning 21, RAWR!) but to me, it was turning on the tube and always finding a great horror flick on at any given time. 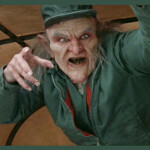 I always had the VCR set to record just in case something spook-tacular flashed on the screen as I perused away. So being the horror fellow on this site, I could keep gushing about how the random horror flicks playing randomly during the Halloween season encompassed a good chunk of nostalgia throughout my life but I can already hear the well-deserved snores, so instead I’ll reveal my FAVORITE kind of horror flicks to showcase during this wonderful season, which will always be the ANTHOLOGY horror movie! This is a wonderful concept for anyone who enjoys watching horror flicks with a group of people looking to have a good time which ranges from jumping out of your seat to making catty comments. Your basic horror anthology flick is a collection of short movies, usually tied together with an ongoing plot that reveals the stories or weaves them altogether. There’s not enough time to get invested in the characters, so instead the shorts tend to focus on the scares or the spooky characters themselves which is something that I rally for in almost all horror flicks anyways, so win-win. 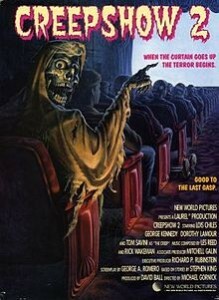 The simplicity of these shorts is what makes horror anthologies so fun to watch and one of my favorites is Creepshow 2. 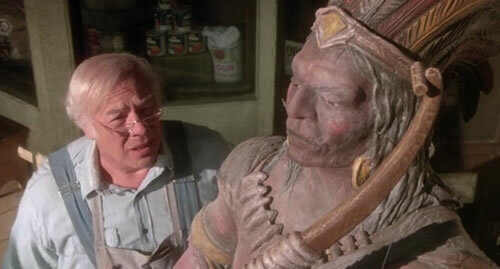 First off horror geeks, don’t get into a frenzy; I understand the first Creepshow is a better movie overall but some of the tales seem to have a slower build which can leave a group restless. Creepshow 2 however, comes out like a machine gun of monsters, looking to scare, while unintentionally making you smirk/giggle throughout the flick which ensures a good time overall during your Halloween shin-dig! The look I give the ladies before buying them a drink…works about 15% of the time! The movie has a cool retro look of the old Creepshow comics that the films are based on and focuses on a kid, Billy (from the first flick) who loves his Creepshow comics. He of course, runs into a group of bullies and they begin to chase/torment him, and wouldn’t you know it? 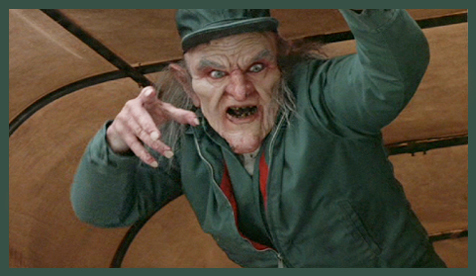 The Creep (played by the GREAT Tom Savini) is there to narrate the shorts! Oh, and for you artsy fartsy folks, the animated bits in between stories are a treat to watch! Now on to the SPOOKtacular tales! Three hoodlums with ill intentions shoot down an elderly couple (George Kennedy and Dorothy Lamour) at their convenience store to collect a prized treasure. Little do they know that the couple has a wooden guardian Indian that will come to life to avenge their deaths! 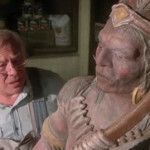 Always something creepy about inanimate objects coming to life but I distinctly remember a creepy howl that the wooden Indian belts out before going on its killing spree! 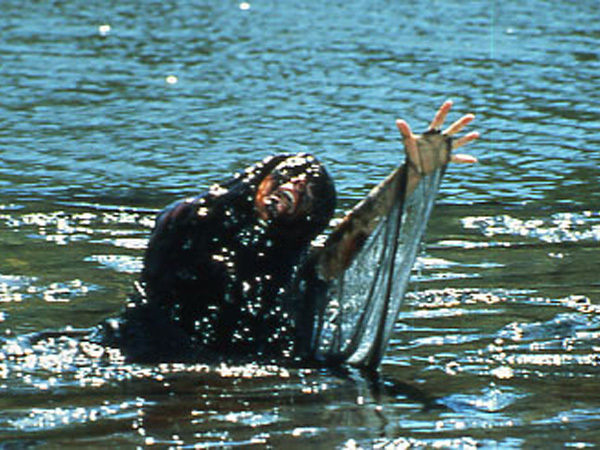 A group of college kids decide to have some fun by smoking some pot (typical), acting horny (SO typical) and swimming to a wooden raft in the middle of a lake and soon realize that a Black GOOP Monster is surrounding the raft and picking them off one by one (okay…not so typical). This short has the best ending by FAR. Check out the short and imagine a lesson from Aesop right around the end…definitely along the lines of the price of being petty. Easy, breezy, beautiful; Cover GOOP. I recommend this flick for your Halloween shin-dig/par-Tay/scare-a-palooza! It has the perfect blend of ridiculousness and gore so you and your witty-committee chaps can yell out catty comments without missing too much of the story, since they’re pretty simple to begin with! Love showing this to people who want to have a good time but also want to appreciate the art that is a solid horror movie! Happy Halloween folks, and try to get your hands on at least ONE Anthology style horror flick! Pingback: FearTASTIC Vault O’ Fun #6! Pingback: FearTASTIC Vault O’ Fun #19!